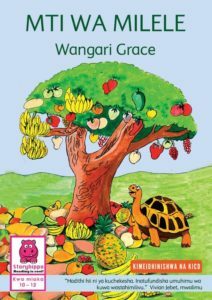 Opuk the Tortoise had a dream in which he saw a magic tree that has all types of fruits growing on its branches. Grandmother Koko, the wise owl, tells them that it is real. It has a magical name and only those who remember the name can find the tree. Who will find this magic tree? Kobe aliota ndoto kuhusu mti unaozaa matunda ya kila aina. Je, huu mti upo? Na je, siri ya kuupata mti huu ni ipi? Shauri wants to buy a birthday present for his little sister Lulu. Something memorable. Something fun. And something that will last longer than a bar of chocolate! “What should I get you?” he asks. “Presents should be a secret,” she answers. 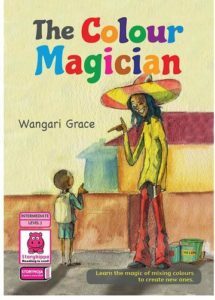 When he discovers some magic, Shauri sets to give Lulu the best present ever! 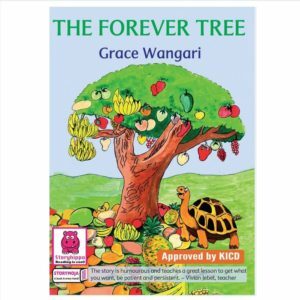 The book is recommended for 6 – 9 year olds.